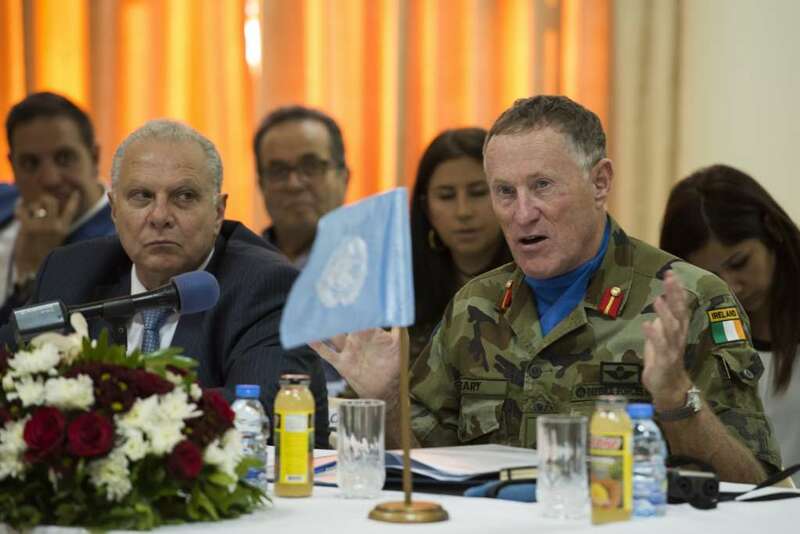 During a Town Hall meeting on Thursday with local authorities, Beary expressed gratitude to the local authorities for their unwavering support, which has contributed in maintaining stability in UNIFIL’s area of operations. He also emphasized the importance of the strategic partnership and the joint activities between the Lebanese army and the peacekeepers, a UNIFIL statement said. During the meeting, the UNIFIL commander heard from dignitaries, including the Qaymaqam of Marjayoun and several mayors from the country’s southeastern municipalities, the statement said. Earlier in the day, Beary inaugurated a newly refurbished UN hospital complex in Marjayoun located inside the UNIFIL Sector East Headquarters and operated by UNIFIL’s Chinese medical team. The Chinese hospital facility has 30 medical and support personnel. The hospital has provided medical services to both UNIFIL personnel and the local population since 2007. Beary hailed China’s significant contribution to global peace and security, in particular to UNIFIL and south Lebanon, the statement added. UNIFIL boasts more than 400 Chinese peacekeepers, who carry out construction, anti-landmine and medical activities.